Gurutzpe was formed in 1957 and supplies horizontal lathes for machining strategic parts in the most demanding industrial sectors. With over 60 years’ experience in the industrial sector, Gurutzpe offers its customers the highest level of customised and innovative solutions. Gurutzpe offer swing diameters over the carriage from 700 to 4000 mm and distances between centres to suit customer requirements. Component weights of up to 100 tonnes can be accommodated. The lathes can be configured to accommodate varied requirements including multi guide-way beds to facilitate the by-passing of steadies. All guideways are of prismatic construction. “C” and “Y” axis capabilities are available along with various types of manual and hydraulic steadies. Multiple tool carriages and programmable steady carriages can be supplied and tailstocks can also be fully programmable. 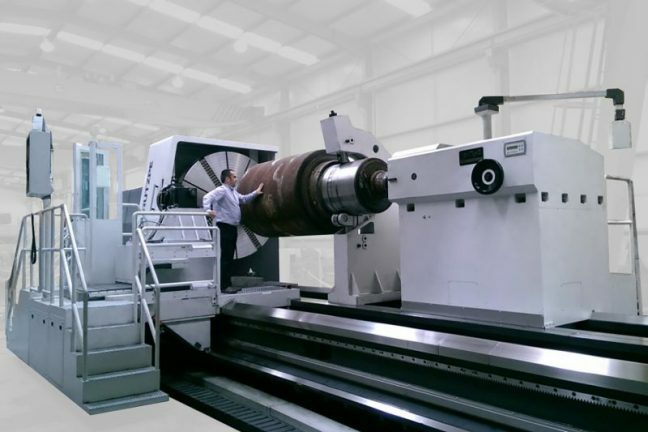 Machines can be designed and manufactured to suit a customer’s specific requirements.